A Golden Treasury – God's Grace ~ God's Glory! Fifteen years ago I found this little book, “A Golden Treasury” (reprinted in 1746 by the American Tract Society) while browsing an antique store. Flipping through C.H.V. Bogatzky’s writings and poetry “for every day of the year,” convinced me that I had found a treasure. At the time I did not know if I wanted to purchase this little book with pages that were discolored, with printing so small and difficult to read, but the content, continually referring to the grace of our Lord Jesus Christ, led me to want and purchase this book; and I was not disappointed. After years of using this devotional, along with my Bible, my daughter and I, neither of us knowing our way around a computer, meticulously typed these meditations, keeping to the same format. Month by month we manually from our own computer and printer published them in booklet form for our family and friends. After several years we put it aside, and saved the document until now. Two years ago we formatted the document for publication through Amazon’s Kindle’s eBook program. Here is Amazon’s site where you can purchase this eBook and have it downloaded to any of your wireless devices, or your computer. (free apps for KINDLE). If you cannot log on with this website, please go to http://www.amazon.com; Kindle Store; A Golden Treasury for the Children of God. A newly typed, easy to read, copy of a 365-day Christian devotional by Carl Heinrich von Bogatzky, printed in 1746. 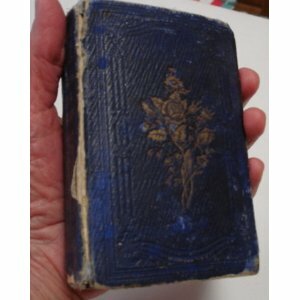 One of first devotionals ever printed for daily use “A Golden Treasury for the Children of God” is a treasure of meditations based on the scriptures of The Holy Bible. This new printing was first published in booklet form. The paper book on Amazon is not my publication. Someone else is using my cover and the “look inside” of my Kindle edition for their site. Pingback: Grace Crowned With Glory | God's Grace ~ God's Glory!